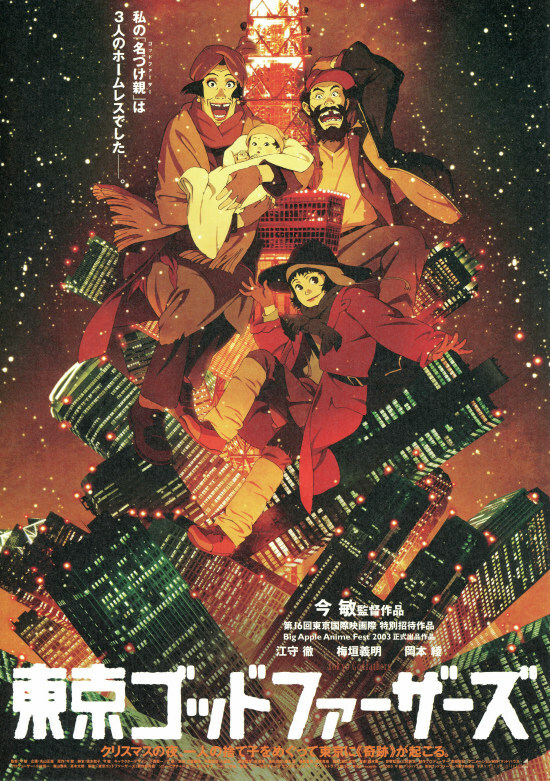 PennsylvAsia: Tokyo Godfathers (東京ゴッドファーザーズ), Pittsburgh premiere of Napping Princess (ひるね姫 〜知らないワタシの物語〜 ) part of September anime series at Row House Cinema. 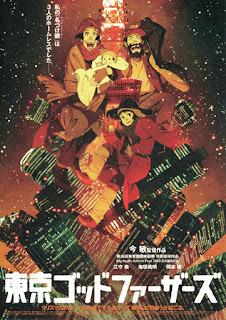 Tokyo Godfathers (東京ゴッドファーザーズ), Pittsburgh premiere of Napping Princess (ひるね姫 〜知らないワタシの物語〜 ) part of September anime series at Row House Cinema. 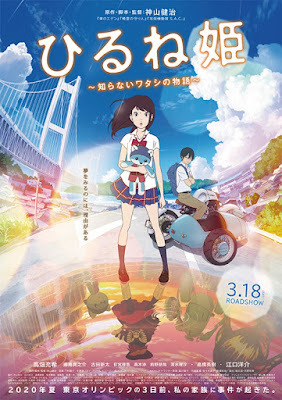 Tokyo Godfathers (東京ゴッドファーザーズ) and 2017's Napping Princess (ひるね姫 〜知らないワタシの物語〜 ) are part of an anime series playing at Row House Cinema from September 29 through October 5. Steampunk dreams intersect with corporate reality in this imaginative anime set just days before the 2020 Tokyo Olympics. High school senior Morikawa Kokone can fall asleep anytime, anywhere. In a series of strange dreams while napping, she travels to Heartland and becomes Ancien – a brave princess with a magic computer tablet, a feisty sidekick and an appetite for adventure. Her waking life is equally full of daring escapades. Her mechanic father Momotaro, a man of very few words, finds himself in unexpected trouble, and it’s up to Kokone to come to his rescue. When events in Heartland begin to parallel her waking world, Kokone realises that unravelling the mystery of her dreams may reveal the key to her challenges in the real world. [A]n animated film both harrowing and heartwarming, about a story that will never, ever, be remade by Disney. It's about three homeless people -- an alcoholic, a drag queen and a girl of about 11 -- who find an abandoned baby in the trash on a cold Christmas Eve, and try for a few days to give it a home. The title makes a nod to John Ford's "3 Godfathers" (1948), where three desperados (led by John Wayne) rescue a baby from its dying mother on Christmas Eve and try to raise it, at one point substituting axle grease for baby oil. The three urban drifters live in a Tokyo of ice and snow, where they have fashioned a temporary shelter of cardboard and plywood, and outfitted it with all the comforts of home, like a portable stove. Here they've formed a family of sorts, but each has a story to tell, and during the movie, they all tell them. Gin, the alcoholic, claims to have been a bicycle racer who abandoned his family after losing everything by gambling. Hana, the transvestite, has felt like an outsider since birth. Miyuki, the little girl, ran away from home after a fight with her father. The others tell her she should return, but she's afraid to. And then the cries of the infant alert them, and their rescue of the little girl is a catalyst that inspires each of them to find what's good and resilient within themselves. Two other titles will be announced as part of the series. Tickets and showtime information have not yet been released. The single-screen theater is located at 4115 Butler Street in Lawrenceville (map).